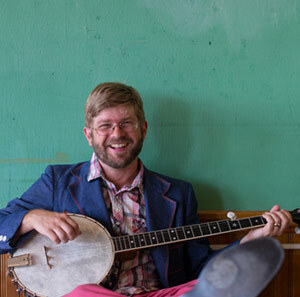 With his trademark cap, banjo and Juno nominated latest release, Canadian roots troubadour Old Man Luedecke is the epitome of a light traveller. The bard of Nova Scotia doesn’t need a touring entourage, just a bunch of great tunes, an engaging personality and an extraordinary ability to produce a wonderful sound from that much maligned but increasingly fashionable acoustic instrument. Those who braved the elements on this lousy un-spring like evening couldn’t fail to appreciate another fabulous artist booked to grace the stage at Leicester’s premier quality music venue. Old Man, or Chris if you want to get a little more personal, may have had to settle for his latest album TENDER IS THE NIGHT remaining at nominated status and thus conceding the Best Traditional/Roots record award to Rose Cousins at this year’s Canadian version of the Grammys. Yet this excellent release was the centrepiece for his 2013 UK visit which is split into two parts, intersected by a return home for a pending family addition. All but two songs were featured in the set which was launched with the metaphorical ‘Jonah and the Whale’ and concluded an hour and a bit later with the thought provoking ‘Tortoise and the Hare’. Just to sprinkle a little diversity into his show, Chris had also brought along his more conventional guitar and turned to this established tool of the trade to deliver a brace of mid-set tracks from the new record. The fantastic old style western influenced ‘Song for Ian Tyson’ saw him pay tribute to the legendary, in Canadian circles, country singer named in the title and the live performance of this superb track eclipsed the album version. The guitar also provided the backdrop to ‘Long Suffering Jesus’ before the banjo re-appeared from its brief rest to once again adorn the highly literate tuneful offerings from Chris. With an ever increasing back catalogue to delve into, we were also treated to the amusing ‘Yodelady’ which was recorded a decade ago and introduced with a enlightening tale of a teenage Luedecke immersing himself into an eclectic musical education whilst being grounded. His 2008 album which did win the coveted Juno was represented with the title track ‘Proof of Love’ and ‘Just Like a River’. The solitary cover song of the evening saw Chris pay his respects to fellow compatriot Leonard Cohen with a version ‘Closing Time’ and doing justice to the original. As you would expect from a travelling troubadour sharing his mix of folk, roots and a touch of country, there were an abundance of stories attached to many of the songs. These included the background to the sing along corporate agrarian number ‘Monsanto Jones’, the Doc Watson inspired ‘Little Stream of Whiskey’ and a francophone style interlude of a couple of verses of Dylan’s ‘Hard Rain’s a Gonna Fall’. The quirky main set closer ‘A & W Song’ had its origins detailed as well as a memorable quote of a Nova Scotia location being described as a town full of drinkers with a yachting problem. 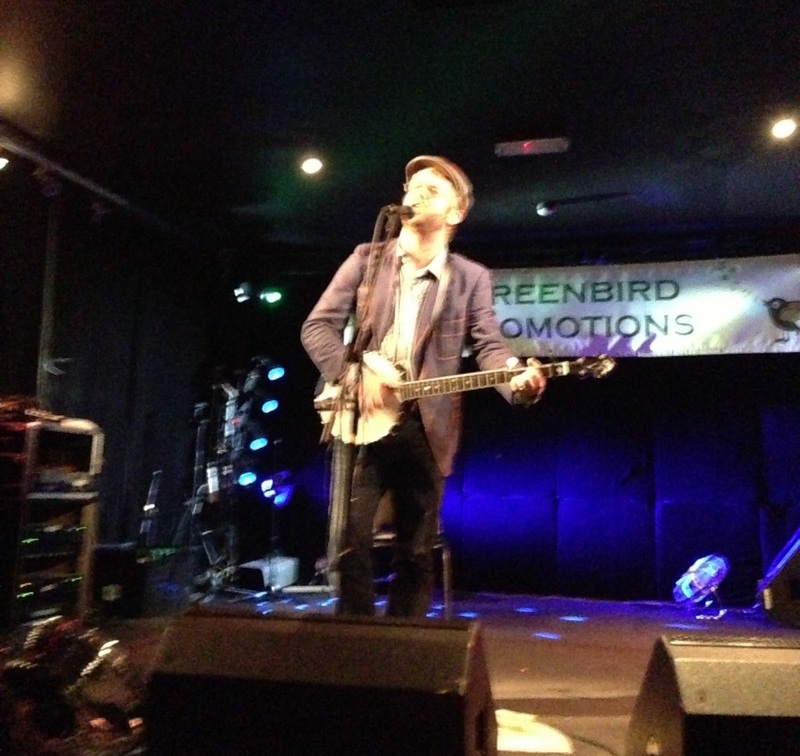 Old Man Luedecke is an intriguing artist, keen to increase his awareness in the UK and a nailed on certainty to provide an enjoyable evening of music, song and chat. He returns to these shores in July for the annual Canada Day Trafalgar Square bash and a slot at the Maverick Festival. He is looking to add a few more shows and, if he appears near you, the ample reward will far outweigh the modest investment. With artists like Old Man Luedecke plying his craft on this instrument, the banjo future jokes will be the ones consigned to the past.